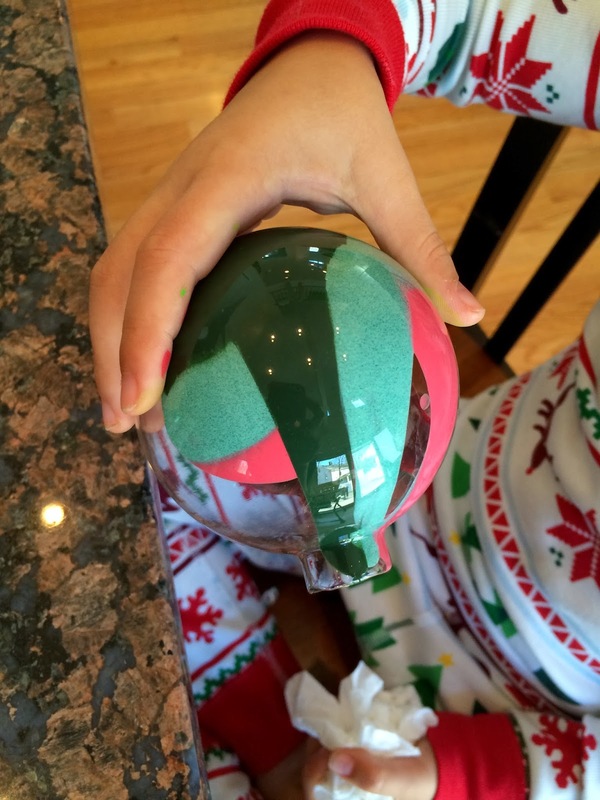 Looking for a quick and simple Christmas craft to do with your kiddos? Look no further. This is something that I used to do by myself before kids, but I decided to let M have a go at helping me out this year - and she loved it! 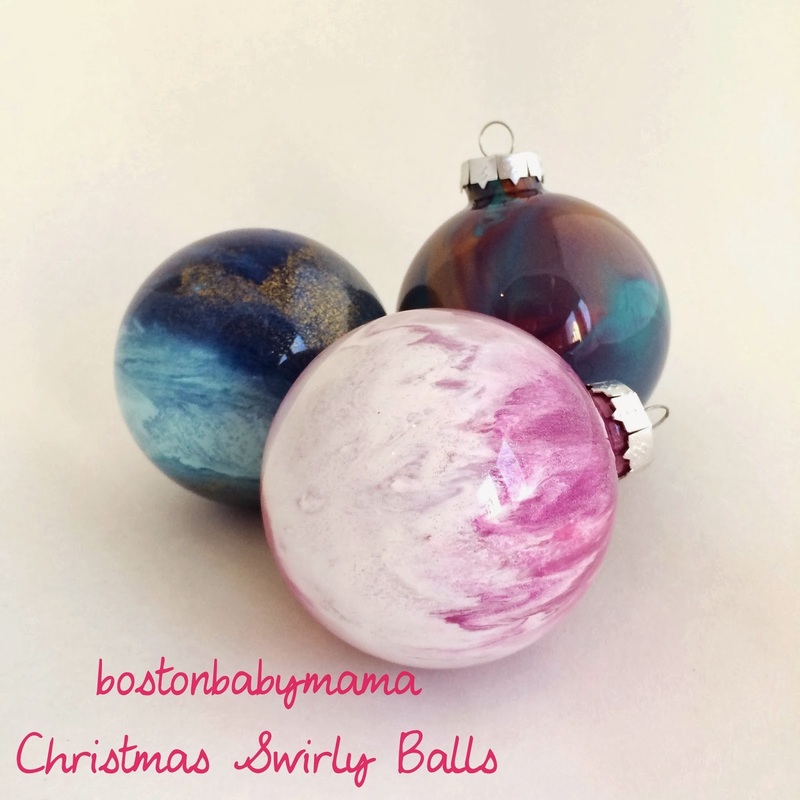 All you need are some glass (or plastic) Christmas ornament balls and some craft paint. 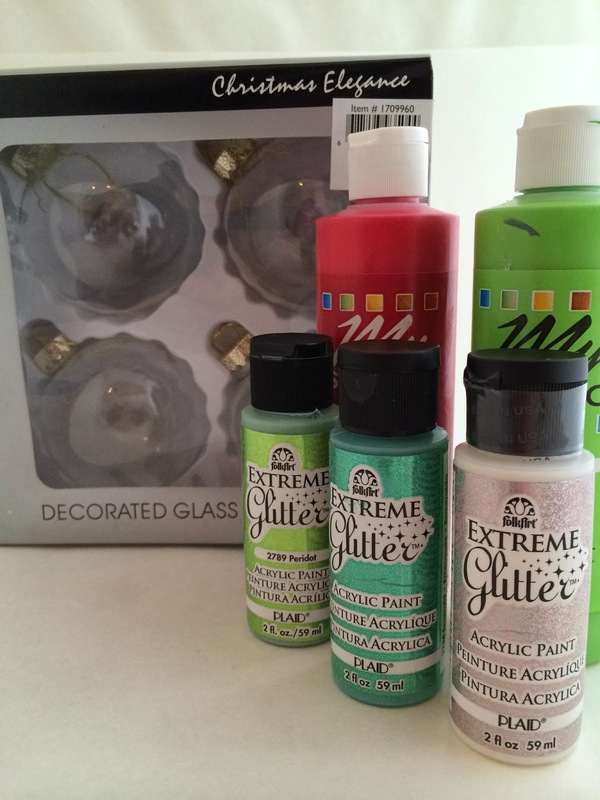 I got my balls online here and purchased some craft paint at the craft store (duh). 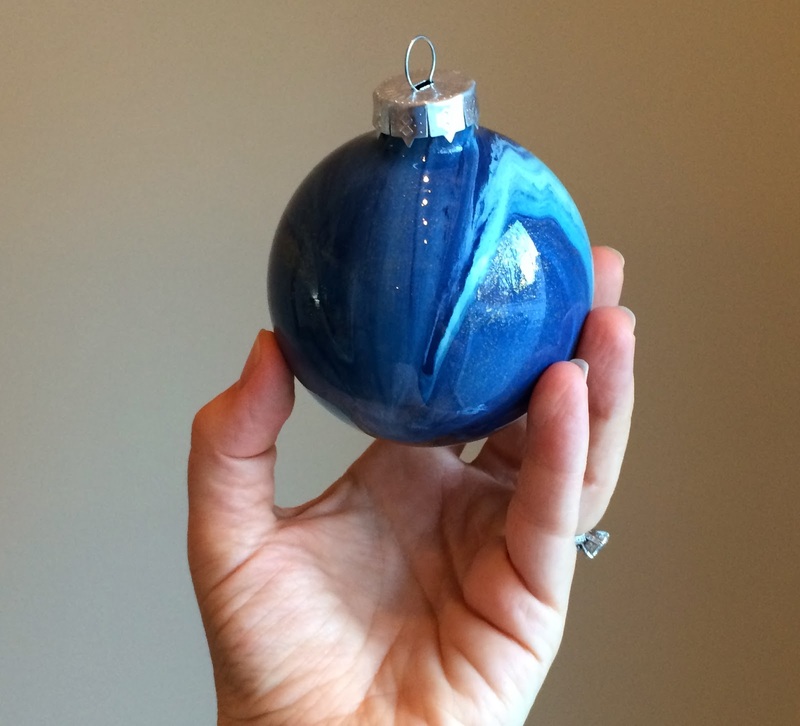 First remove the metal top of the ornament, then squirt some paint in there. Swirl it around and boom! You're done. Well, it technically is that simple but I have a few tips and tricks. 1. Use only 3 or less colors of paint. If you use more, they tend to mix together and turn brown. No one likes a brown Christmas ball. Ha. 2. Use less paint at the beginning and then add paint as needed. 3. Add in a glitter paint to give your ball a nice shimmer. Everyone loves something sparkly. 4. 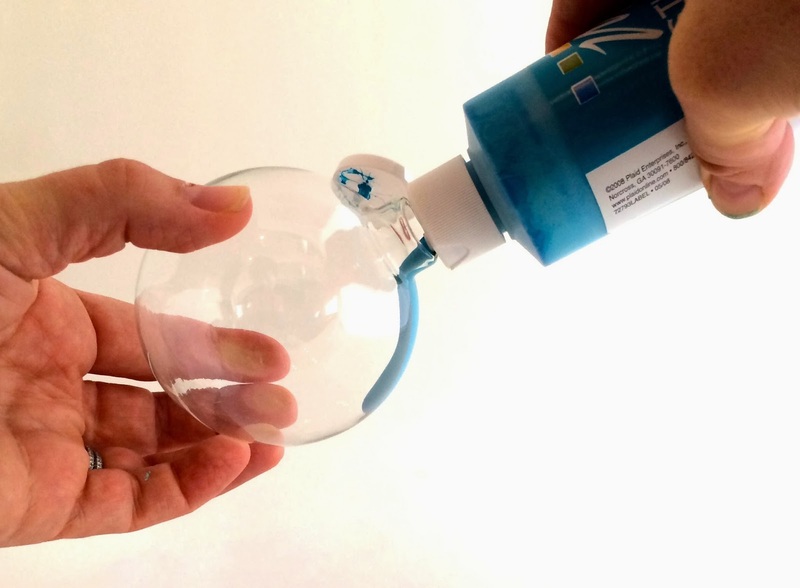 Once you have swirled the paint around inside the ball so that all the glass inside surface is covered in paint turn the ball upside down and place on top of a plastic cup. This will allow all excess paint to pour out into the cup. 5. Leave the ball upside down for a good 30 minutes, and then check on it. You might have to turn it around to allow paint to settle in a different part of the ball because sometimes when it is upside down for too long you might get some empty spots again. 6. 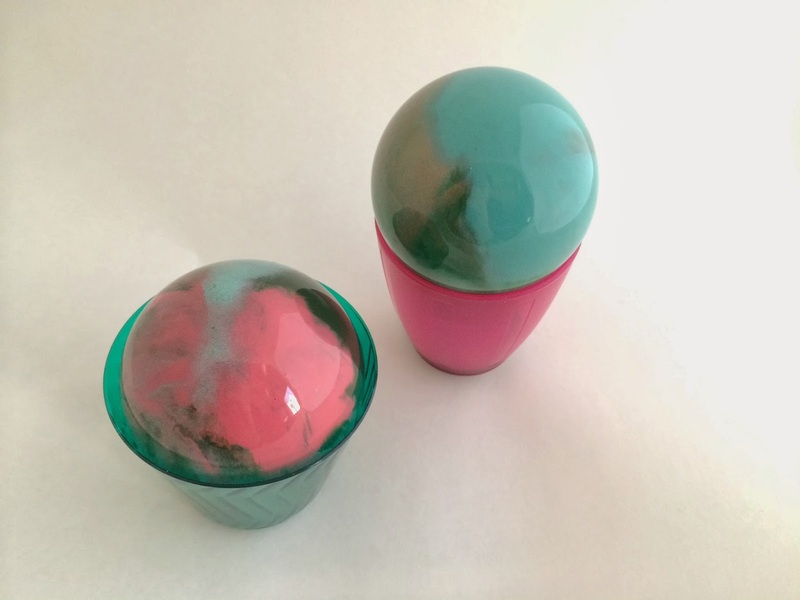 I like to turn my balls (ha- turn my balls :) at least 3 or 4 times because the paint will take 24 hours to dry and by turning it you can achieve different designs. 7. Experiment with color combinations. Sometimes the oddest combinations turn out to be the most beautiful! And the last step is to hang your balls!! Ok, enough with the ball talk. These are so cute - and look like they'd be easy for a preschooler to make! Thanks so much for the great gift idea!